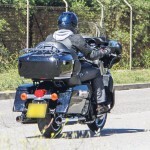 Britain’s MCN has published spy photos of two new Triumph touring motorcycles. 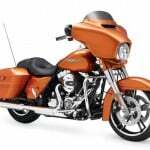 Both models are prototypes still undergoing testing and one is even disguised to look like its eventual rival, the Harley-Davidson Electra Glide. 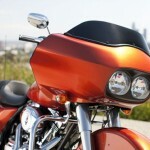 Both models are, in fact, slated to go up against Harley-Davidson models. 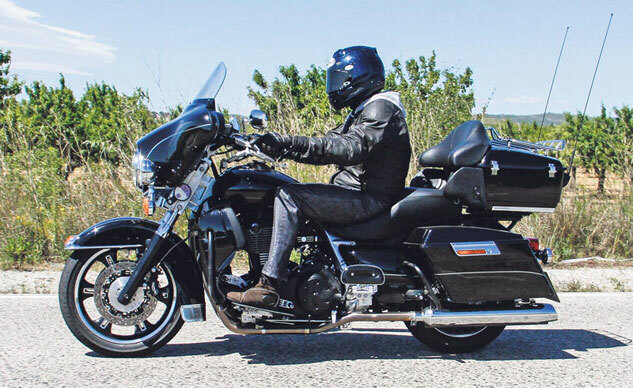 The model pictured above is equipped with the Electra Glide’s batwing fairing and luggage and at first glace could be mistaken for the Harley-Davidson. 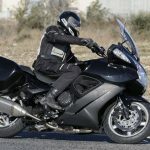 A quick glance at the engine however reveals a parallel-Twin engine like other Triumph cruisers instead of the Motor Company’s signature V-Twin configuration. 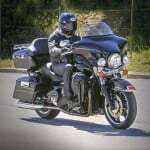 As MCN reports, this Electra Glide competitor is still a couple of years away, and the Harley-Davidson parts are merely a temporary stand-in for road testing purposes until Triumph finishes designing its own styling. 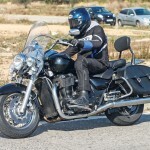 Still, it’ll be interesting to see how Triumph eventually styles this tourer to differentiate it from the Harley. 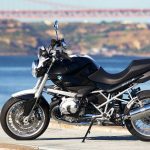 The other model pictured, a potential Road King rival, is much closer to production ready, hopefully in time for November’s EICMA show in Milan. The windscreen and headlight design with two supplementary lights are similar to the Road King, but the engine, again a parallel-Twin, is likely the same 1699cc engine powering the Triumph Thunderbird Storm. 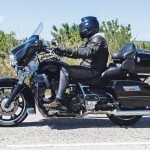 MCN reports the Road King competitor will have a 17-inch wire-spoke front wheel. The wheel is thicker than the 19-inch wheel on the Thunderbird’s alloy rim, so the front forks are also new. Most components such as the windscreen, footboards and leather bags are already available in Triumph’s accessories range.